Well my Tuesday, which was going to be spent debating whether or not I should write something about the Academy Awards, just became infinitely better. Tumblr has alerted me that Floria Sigismondi directed the latest David Bowie music video. And that it features Tilda Swinton. I’ll wait while you take that in for a second. “The Stars (Are Out Tonight)” is the second single from Bowie’s forthcoming album The Next Day. 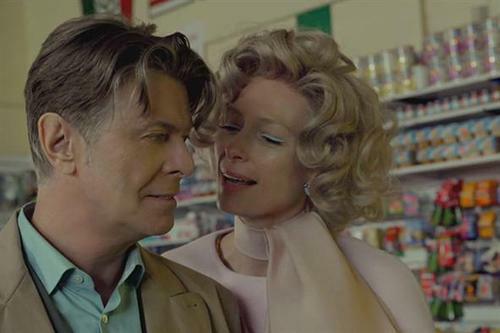 In the video, Bowie and Swinton play a celebrity couple who live in a surreal version of suburbia. An androgynous celebrity couple moves next door and the result is campy perfection. It is exactly what a David Bowie music video directed by Floria Sigismondi featuring Tilda Swinton should be like. Enjoy. Previous Previous post: Do I Really Hate Anne Hathaway?